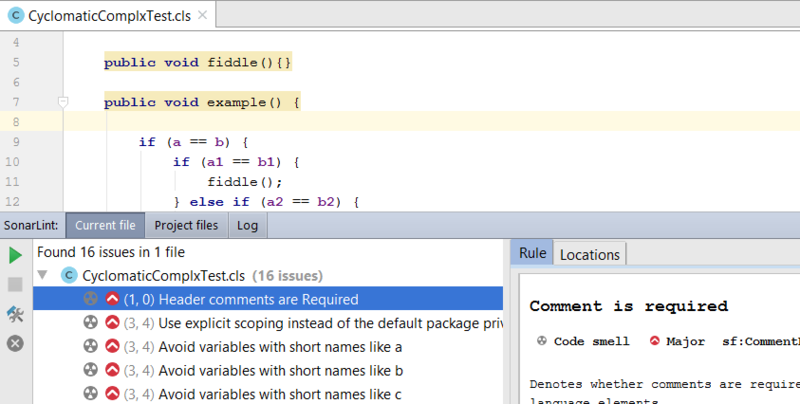 The CodeScan IntelliJ plugin provides on-the-fly feedback to developers on bugs and quality issues, it is a fully-integrated user experience in the IntelliJ IDE. The plugin is derived from SonarLint but please NOTE that currently the CodeScan IntelliJ Plugin WILL NOT WORK ALONG SIDE THE SONAR LINT INSTALLATION - you must uninstall SonarLint. Navigate to the Configuration > Plugins menu from the IntelliJ start screen. Click “Install plugin from disk”, select the .zip file you downloaded and click “OK”. Restart IntelliJ for the changes to take effect. With Connected Mode - the rule profiles used on the ‘bound’ server are used in IntelliJ. In IntelliJ, go to File > Settings > Other Settings. Open the ‘CodeScan General Settings. Click the green “+” sign to the right of the SonarQube Servers window to configure a new connection. Choose the organization you want to connect to and click Next. If there is only one organization associated with your user this will be done automatically. Each IntelliJ project needs to ‘bound’ to a SonarQube project. In File > Settings > Other Settings, open CodeScan Project Settings. Ensure “Enable binding to remote SonarQube server” is checked and select the name of the connection you just made from the “Bind to server” dropbox. 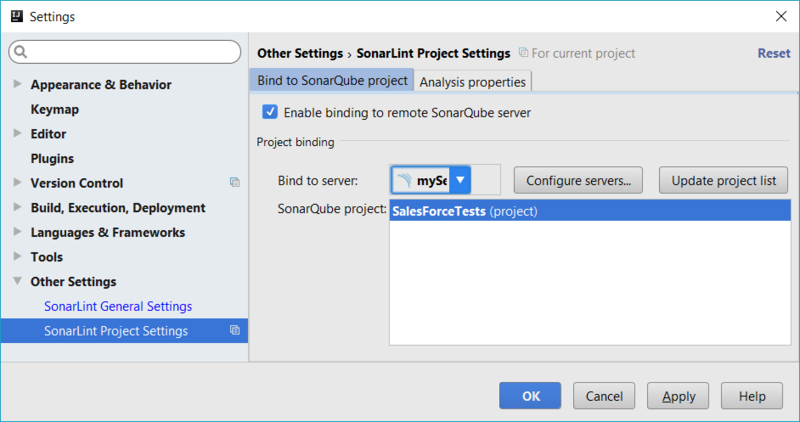 Select your SonarQube project, the settings and Quality Profile from this project will be used. Click on “OK” to persist the binding. If you need to refresh the local configuration (to retrieve new Quality Profiles and rules), you will need to go back to File > Settings > Other Settings > SonarLint General Settings and use the “Update Binding” action. That’s it, you can now code and see CodeScan reporting issues based on remote SonarQube configuration. You can check for any errors here by going to View > Tool Windows > SonarLint to open the SonarLint console.